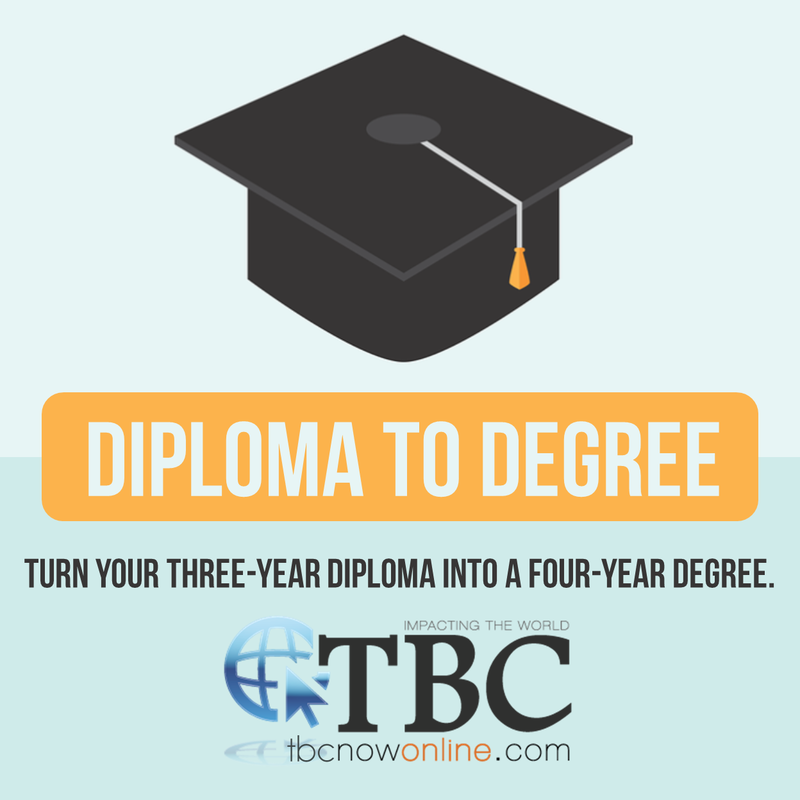 For students who have obtained a three-year Bible college diploma in the past but are interested in completing their four-year degree, the Diploma-to-Degree program is an excellent option. Students in the Diploma-to-Degree program take the remaining hours necessary to get them to the 120 hours required for a degree. Because D2D students come from a variety of educational backgrounds, the amount of hours required for them to finish their degree often differs from student to student. We begin the process by analyzing the student's transcript to ascertain how many hours they will need to finish their final year of classes. Most students require three to ten classes. ​In order to obtain a degree through TBC Online, students must complete a minimum of three classes (nine hours). For a more in-depth look at the courses required for the Diploma-to-Degree Program, please look at the Course Descriptions.